While likely true a central aim of the kidnappers was to emulate the video taped beheadings of such western martyrs as Daniel Pearl and Ken Bigley, I think it is important to note as well from my understanding they are also drawing inspiration from Muhammad and the Qur’an. Sure, they of course want a good deal of publicity for their barbarous act, but first and foremost, they are Muslims following the example set by the Prophet. Police officers stand guard outside a house in the central English city of Birmingham on Wednesday after a series of anti-terrorism arrests. BIRMINGHAM, England – Counterterrorism police arrested nine men in an alleged kidnapping plot Wednesday — a plan that reportedly involved torturing and beheading a British Muslim soldier and broadcasting the killing on the Internet. A ninth person was arrested just before police briefed reporters. The first group of arrests took place in the morning. “The threat of terrorism has been growing over the years,” David Shaw, of the West Midlands Police, said in announcing the arrest. Birmingham has been the site of several major terror raids in the past two years, including a plot uncovered in the summer that involved several suspects planning to use liquid explosives to blow up as many as 10 flights between Britain and the United States. The alleged plot was to involve the kidnapping of a British serviceman in Britain, a government contact connected with security services told NBC News on condition of anonymity. Media reports, citing unnamed sources, said police and MI5, Britain’s domestic spy service, had stopped a “major” terrorist plot in the latter stages of planning, or near fruition. Sky TV, which said it knew the target’s identity, a man in his 20s, quoted sources as saying the intent was to mimic the abductions and beheadings of Westerners carried out by militants in Iraq and post a video of the killing on the Internet. Such a murder would be similar to the fate of Briton Ken Bigley, who was kidnapped and later beheaded by al-Qaida’s then-leader in Iraq, Abu Musab al-Zarqawi, in 2004, as well as other hostages. The official who spoke to NBC News could not confirm the Sky TV report, but said the plot was being called an “Iraqi style” operation which had led people to surmise what might happen. “This is big because it’s different,” he said, adding that he believed video was going to be an element. “If they (the plotters) were going to kidnap someone, in their world there is no point unless you have publicity around it. Every event they do has to have a public element to it,” he said. Officers raided several homes beginning at 4 a.m. in a predominantly Pakistani neighborhood in Birmingham. The arrest operation was led by the Midlands Counterterrorism unit, supported by West Midlands Police and London’s Metropolitan Police. A number of streets were sealed off in Birmingham, Britain’s second largest city and one of its most ethnically diverse, including a large Muslim population. Last week, police arrested five people in terrorism investigations in the English cities of Manchester and Halifax. Rizwan Ditta, 29, and Mohammed Dilal, 26, of Halifax were later charged with possession of information of use to terrorists. Three men arrested by Greater Manchester Police remain in custody but have not been charged. Last year the head of MI5 said that about 30 terrorism plots were being worked on and agents were monitoring around 1,600 suspects. “This operation is a reminder of the real and serious nature of the terrorist threat we face,” the Home Office said Wednesday. 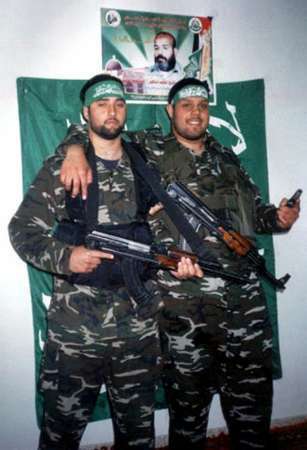 On July 7, 2005, Britain suffered its worst peacetime attack by militants when four British Muslims blew themselves up on London’s transport system, killing 52 people. In August last year, detectives said they had foiled a suspected plot to blow up trans-Atlantic airliners bound for the United States using liquid explosives.